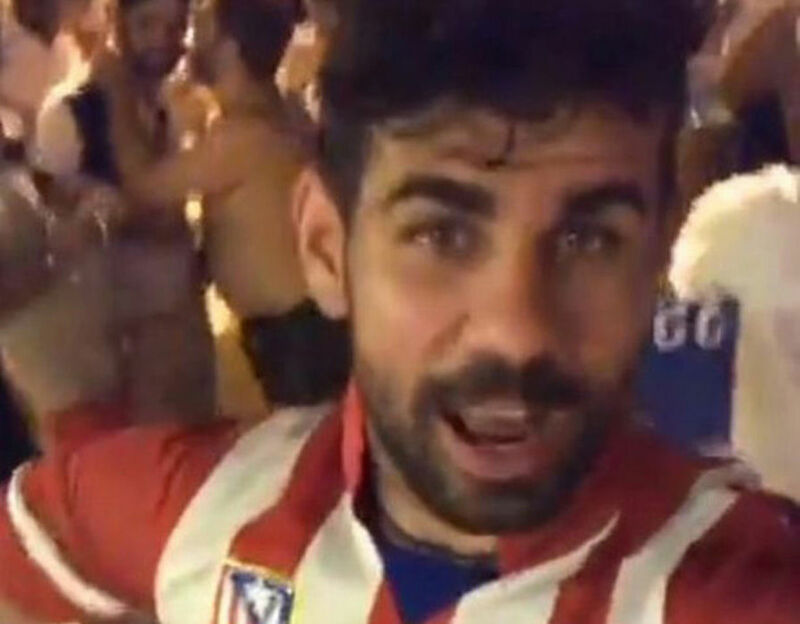 DIEGO COSTA broadcast footage of himself partying in an Atletico Madrid shirt. Chelsea rebel Diego Costa aired a live stream while partying in an Atletico Madrid shirt as his absence from Chelsea training continues. The former Atletico hero was deemed surplus to requirements by Antonio Conte despite finishing last season as the Blues' top scorer. Cesc Fabregas commented on Costa's live Instagram broadcast before the striker mocked his Chelsea boss, replying with 'Give Conte a hug'. But Chelsea fans have not seen the funny side of his antics.